John L. Bednar was unexpectedly called home by his Lord and Savior on March 16, 2019. John’s passing was peaceful and a friend was by his side. John was born in Milwaukee WI on November 27, 1945. His parents were Louis J. Bednar and Anna M. (Javorsky) Bednar. John was educated at St. Coletta’s School in Jefferson, WI. After graduation, John worked at a number of part time jobs; some of which included St. Joseph’s Hospital, Divine Savior Holy Angels High School, and Pick ‘n Save. John possessed a wonderful memory for family events and dates and he loved telling stories about his travels with his mom (trips to two World Fairs), his trip to Lourdes France, and his trip to Hawaii. He was happy riding the Milwaukee County Transit System buses and knew the route numbers and what area the routes covered; he became friendly with many of the drivers. You could count on John to give directions when we were driving around in Milwaukee. John had an extensive knowledge about various religious orders; what their beliefs were, how they were structured, and what habits and clothing they wore. He enjoyed going out for lunch and dinner; he liked new restaurants but was partial to his “fast food” favorites. John is survived by two cousins, Judy J. (Ron) Javorsky-Hesson, Omaha NB, and Barbara Jean Javorsky-Parnitzke, Sheboygan WI, as well as other relatives and a special friend, Mark. John was preceded in death by his parents, his grandparents, two uncles (John and Frank Javorsky), and other relatives. 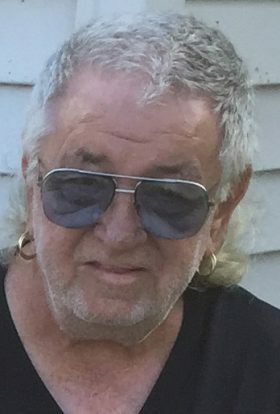 A Mass in Celebration of John’s life will be at Mother of Good Counsel Catholic Church, 6924 West Lisbon Avenue, Milwaukee on Saturday April 27, 2019, 1:00 PM. Burial at Holy Cross Cemetery, Milwaukee on Monday, April 29, 2019, 11:00 AM. John was a gentle soul with a strong sense of his own independence and a bit of a stubborn streak. He liked being around familiar people and loved it when he told a joke or said something that made you laugh. His life here on earth was not always easy, but he persevered and in the end he rests in peace.